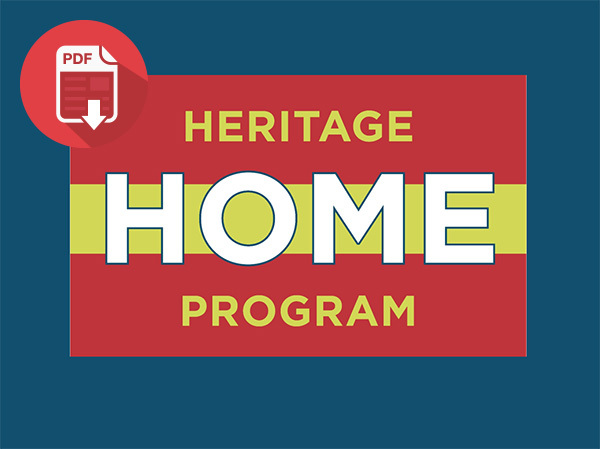 The Heritage Home Program connects Homeowners with Technical Resources & Loans. The Heritage Home Program (SM) is ready to help you with free technical assistance for your home repair, maintenance, and rehab needs and access to loan rates that are more affordable than ever before. Ask our qualified technical staff your questions about home rehabilitation and improvement. The Heritage Home Program (SM) is a regional program operated by the Heritage Home Educational Society, a subsidiary of The Cleveland Restoration Society. We partner with Cuyahoga County, Lucas County, the Ohio Housing Finance Agency, and the Treasurer of State of Ohio to "buy down" the interest rate in order to make home rehab more affordable. KeyBank is our participating bank. In 1992, the The Cleveland Restoration Society launched a housing rehabilitation program in two City of Cleveland neighborhoods - one east, one west. In 2001, the program expanded into other areas in the region as the Heritage Home Program. Over 25 years after the Program's inception, we have provided 14,000 homeowners with helpful technical advice on over $293 million in projects. Additionally, our program has facilitated over 1,570 low interest loans on projects totaling over $62 million in neighborhood reinvestment.